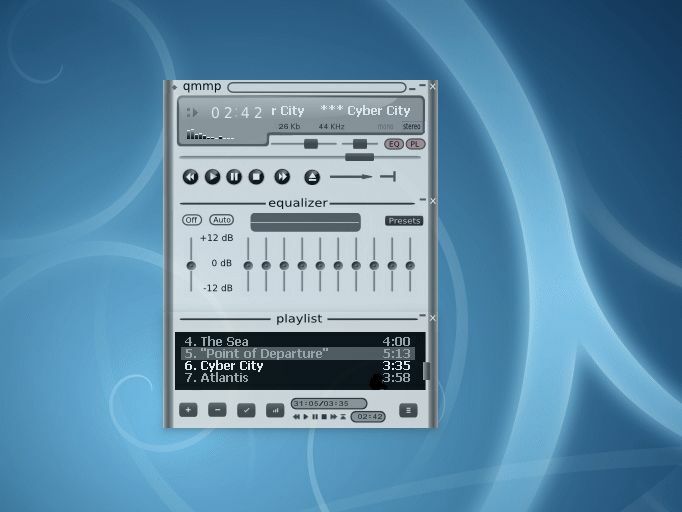 Qmmp is an audio-player, written with help of Qt library. It features a user interface that is visually similar to that of WinAmp. For more features/requirements, check here.